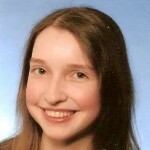 Susanne Frick is currently finishing her bachelor degree in Psychology at the University of Konstanz. Since April 2015 she has been working as a research assistent at the working group for Research Methods, Assessment, and iScience, currently working on the project „Forced-Choice vs. rating scales in personality assessment: A comparison of response formats“ (Project coordination: Prof. Dr. Ulf-Dietrich Reips & Dr. Eunike Wetzel). Furthermore Susanne is writing her bachelor thesis on the topic „Deriving normative trait estimates from multi-dimensional forced-choice data – A simulation study“ (Supervisor: Dr. Eunike Wetzel).